What do you do when you're about to have a nationwide day of rallies against Affordable Care Act repeal, and then the bill dies? Just tweak the plans a bit. 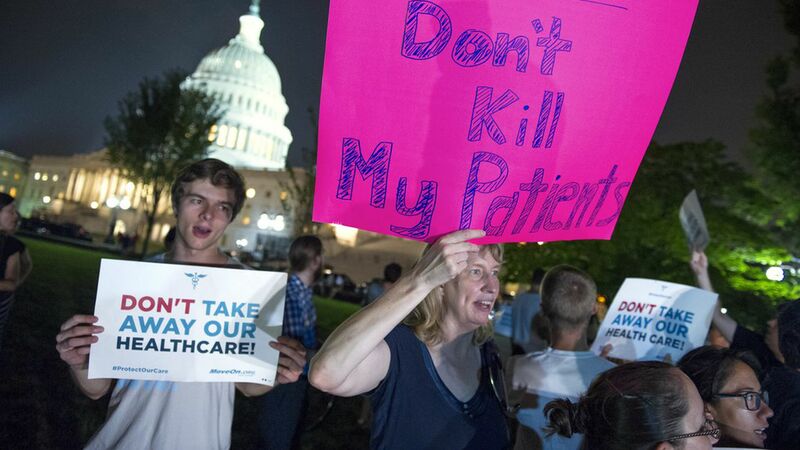 That's what Our Lives on the Line, a coalition of health care advocates and liberal groups, is doing for the 125 rallies it's holding tomorrow in 36 states. It's going ahead with them, but now the theme is: Don't let Republicans revive their repeal plans. "We know that President Trump and Leader McConnell's reckless determination to imperil the well-being of millions of Americans has not gone away," said Tim Hogan, a spokesman for Our Lives on the Line. "They remain dedicated to repealing the law even if it means sabotaging your care or scheming behind closed doors in the process. We're not waiting for their next attack."